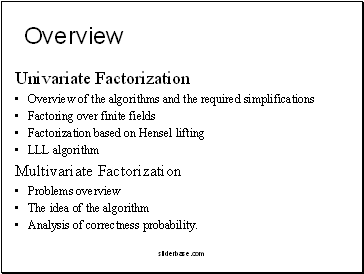 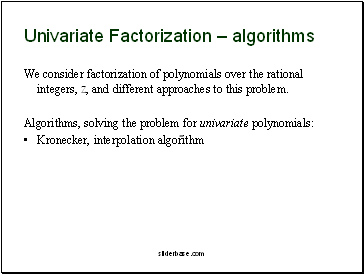 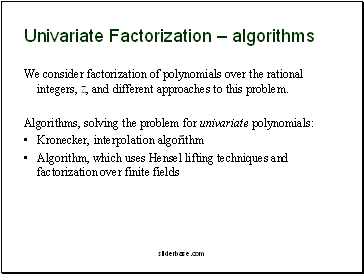 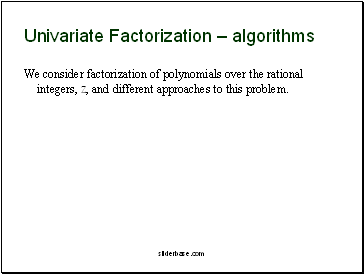 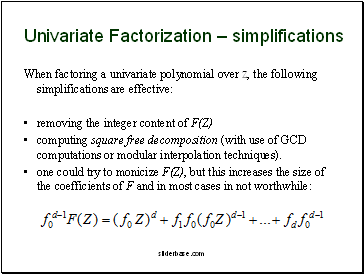 We consider factorization of polynomials over the rational integers, Z, and different approaches to this problem. 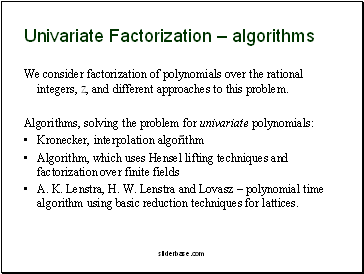 A. K. Lenstra, H. W. Lenstra and Lovasz – polynomial time algorith using basic reduction techniques for lattices. 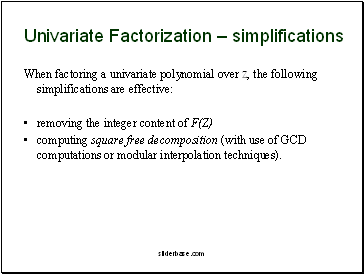 computing square free decomposition (with use of GCD computations or modular interpolation techniques).